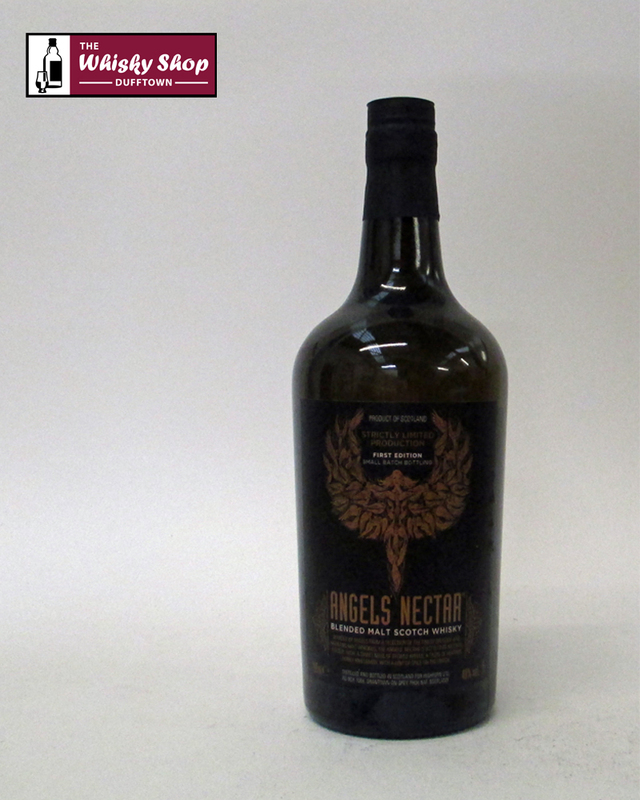 The Angels’ Nectar Blended Malt Whisky is inspire by the angels’ share – the whisky evaporation from casks during maturation. It is a blend of Speyside and Highland malt whiskies. The no-age-statement "independent" blend of malts market is a bit of a crowd sector. Frankly, some of them are over priced. It is depressing. Then one comes along which is great to drink, is in a spectacular bottle and priced right. That's more like it. Whisky to drink!! Waxy potatoes, mocha and earthy orange segments on the nose. The taste is diluted orange juice and strong dark chocolate. Lavender. Coffee shop in the garden. The WSD thinks: Soft fruits and candy sweets, perfumed white chocolate floral notes continue on the palate followed by a bitter bite (M). 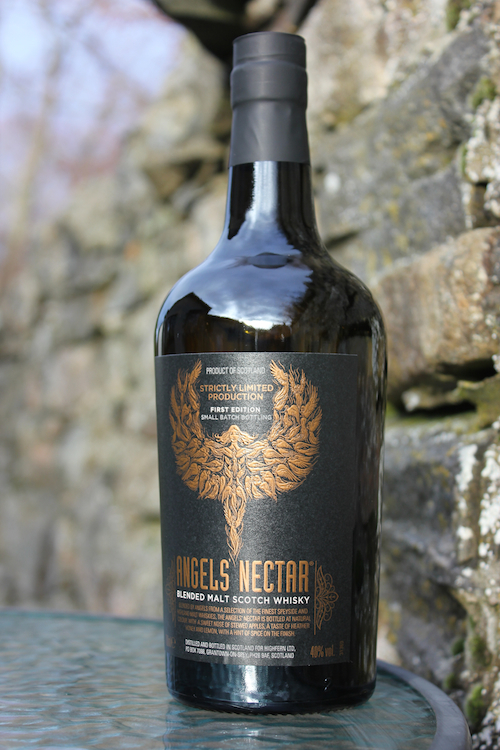 The Angels' Nectar Blended Malt Whisky is inspire by the angels' share - the whisky evaporation from casks during maturation. 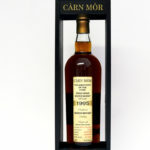 It is a blend of Speyside and Highland malt whiskies. Bottled at natural colour it is described as having "a sweet nose of apple and fruit syrup, a taste of heather and honey and lemon, and a hint of spice on the finish". The label design is particularly striking and is a true work of art.